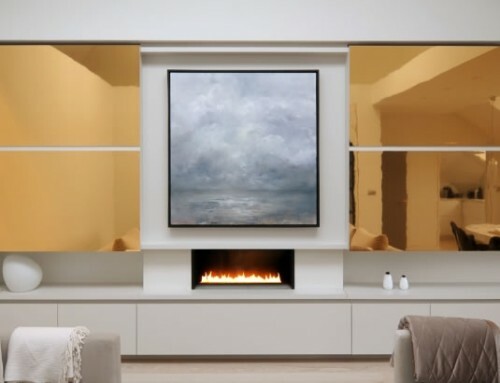 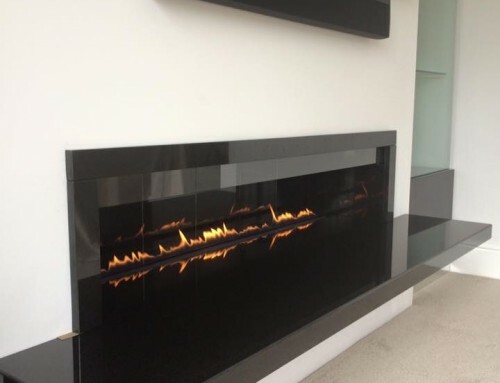 Design Requirements – This contemporary fireplace was designed using our large oval gas firebowl in white stone. 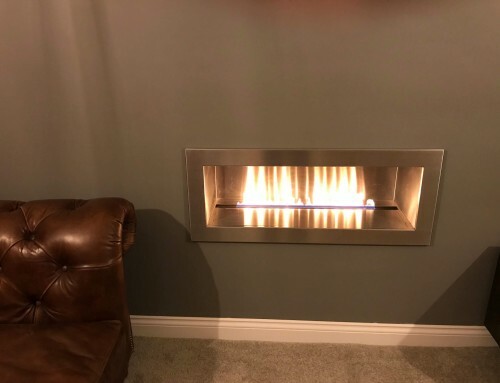 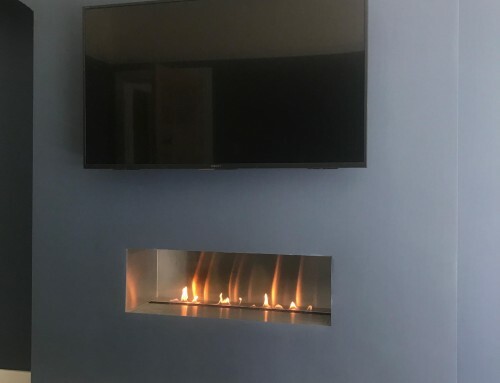 The gas fire was installed in a customers apartment in central London. 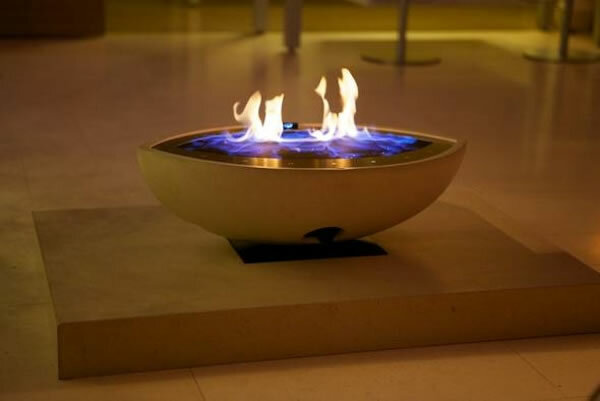 The oval gas fire bowl is mounted on a limestone plinth and has a canopy above connected to a flue system. 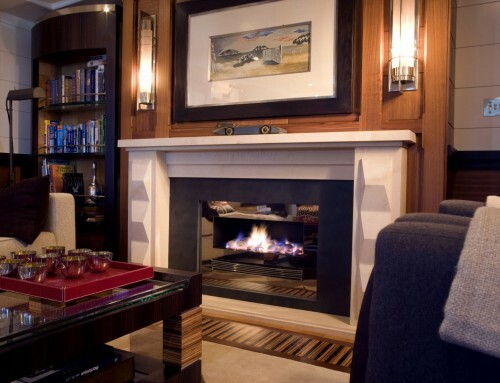 The fireplace is open on all sides and creates a stunning feature fireplace in the property. 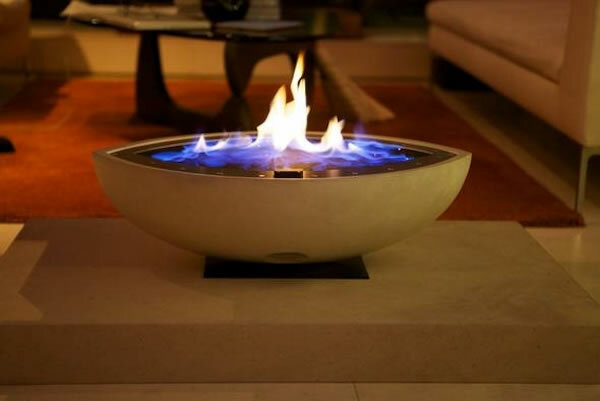 The large oval gas fire bowl is available in many finishes including polished bronze and aluminium. 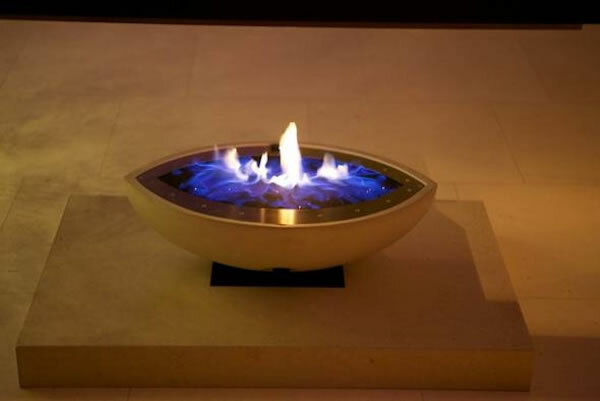 The large oval has been used in many homes and commercial properties around the world where a stunning feature is required. 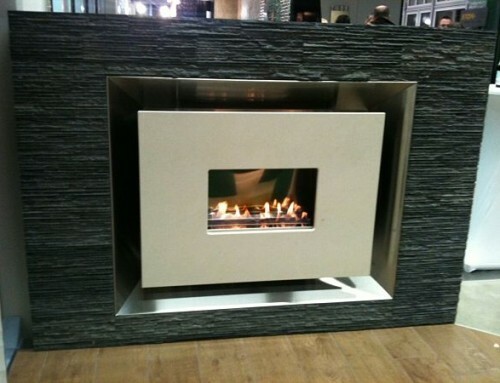 Contact our design team to discuss bespoke options.